The Lord’s Supper, as found in Matthew 27, is one of the most important events surrounding the death, burial and resurrection of Jesus. This event helps explain Jesus’ sacrifice and establishes the example for a Christian tradition which has been observed for centuries. 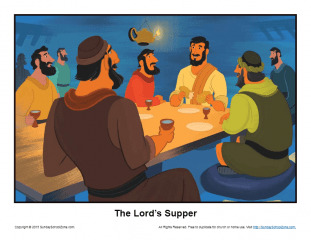 This Lord’s Supper Story Illustration will help children better understand the significance of this event and why we remember what He did for us.